Probably best known as one of the two furthest apart points accessible by road on the British mainland, the village of John o’ Groats lies way, way up on the northeast corner of Scotland some 876 miles from its southern counterpart, Land’s End at the southwest corner of Cornwall in England. Once voted ‘the most dismal place in Scotland’ many people think that John o’ Groats is the most northerly point on the mainland but that honour actually goes to Dunnet Head, a few miles to the west and just a couple of miles further north. Lying on the main A99 east coast road John o’ Groats has improved considerably since its dark and dismal days and the village and its surrounding area, and indeed the whole northern coast of Scotland, are now the target for increasing numbers of tourists who come for the wildlife, the scenery and experience of exploring what can be both a very bleak and a very beautiful part of Scotland. 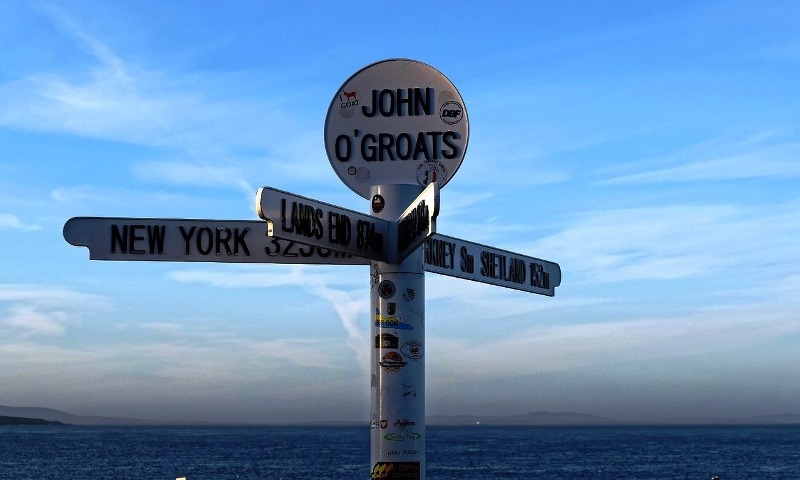 One surprisingly popular reason for visiting John o’ Groats is the ‘End to End Challenge’ – a road journey between Land’s End and John o’ Groats most commonly done by bicycle although a handful of hardy souls have actually walked all 876 miles of the route! 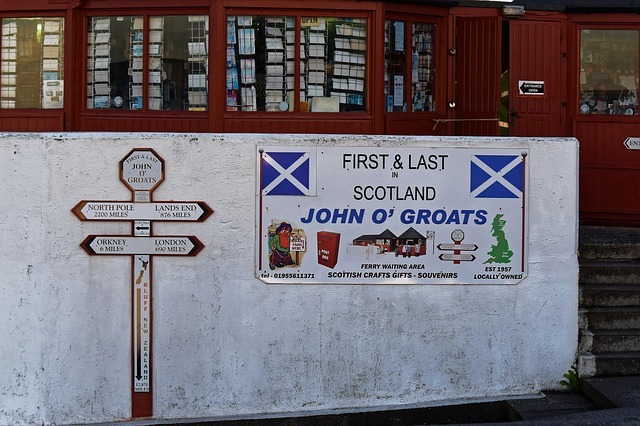 The ‘End to End Challenge’ can, of course, be done in either direction but John o’ Groats seems to be the preferred finishing point for most people. When Challengers finally make it to the area they can have their photograph taken at the famous ‘Journey’s End’ signpost at John o’ Groats which, during those bygone dark and dismal days, was actually privately owned with a fee charged for having pictures taken next to it. In these more enlightened times a new sign has been erected which is free to all who wish to have photographic evidence of their visit – you don’t even have to do the ‘End to End Challenge’! Successful Challengers and other visitors to the area will see awesome unspoilt scenery and fascinating wildlife – there are seals, dolphins, minke whales, killer whales and others in the surrounding waters and the region is a birdwatcher’s paradise with a tremendous amount of seabirds on the dramatic cliffs. 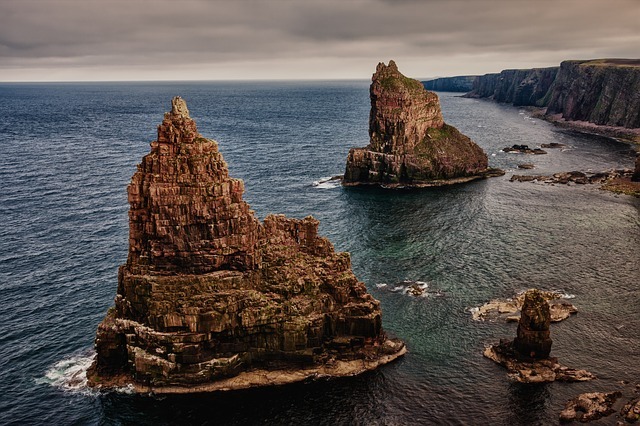 Boat trips are available around the 200-foot cliffs of Duncansby Head, home to many nesting birds whose calls can be deafening during the breeding season. 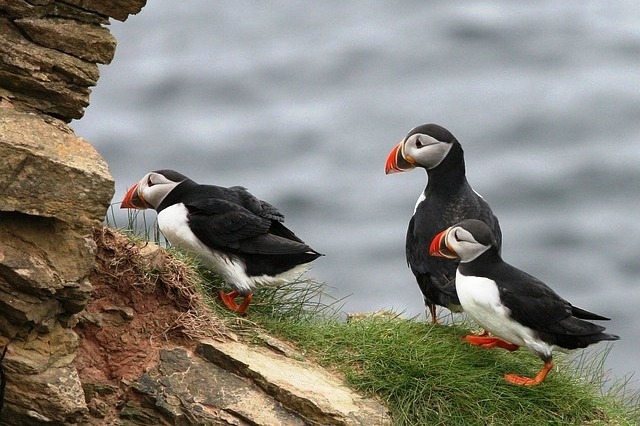 The area is recognised as one of the best places in Scotland to see the Atlantic Puffin, those comical-looking clowns of the cliffs, and the Royal Society for the Protection of Birds has its largest UK reserve at Dunnet Head – a positive avian metropolis! From the small John o’ Groats harbour there is a ferry carrying foot passengers northwards the short distance to the Orkney Islands and by using this 40-minute ferry trip a day’s outing to the historic sites of Skara Brae, the Ring of Brodgar and the Standing Stones of Stenness can easily be arranged. 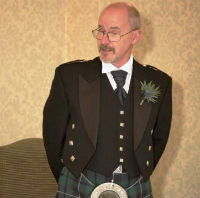 Various wildlife cruises are also available but note that all of these are summer only – the waters of the Pentland Firth are far too treacherous for small boats during the winter months. The region’s remoteness ensures plenty of lonely and unspoilt places to explore like the beautiful sands at Dunnet beach – increasingly popular with discerning surfers. Even after the sun has gone down nature can still put on a show. Not surprisingly, the best chance of seeing the Aurora Borealis (the Northern Lights) is in the north and this spectacle can often be seen from the John o’ Groats area, dancing in the clear northern skies. Mind you, the Aurora Borealis is, of course, a natural phenomenon so when it comes to seeing them it’s a case of being in the right place at the right time. 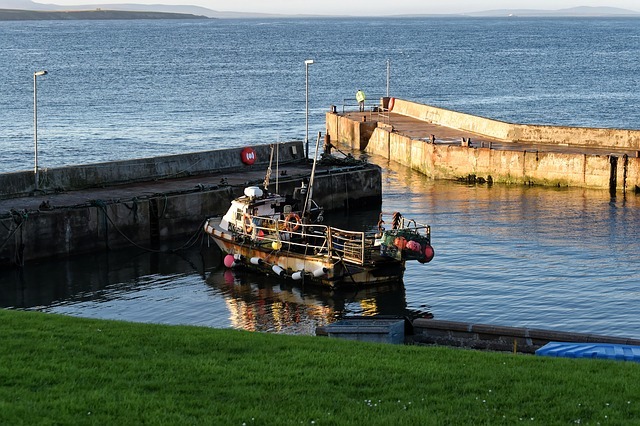 John o’ Groats is sometimes overlooked in favour of the more central areas or even skipped over completely by those on their way to the Islands further north but that is doing this part of Scotland a grave injustice. Remote it may be but it certainly isn’t an uninteresting dead end! Perhaps one day you will come and see for yourself.